There is already some media coverage for the Roles Beyond Lawyers Report. In the shocking but likely event that some of your constituencies might find the Wall Street Journal or WNYC more reliable than my blog, here are links to their stories. The navigator pilot, which started in 2014, is run by Fern Fisher, the deputy chief administrative judge for the city’s court system. She said she saw the need for more tenant assistance when she was a housing court judge in Manhattan. Teresa Anderson kept her apartment with help from University Settlement navigators. The 46-year-old single mother lost her job after getting sick in 2007 and suffering black-outs. She then had trouble paying the rent, about $800 a month, on her one-bedroom apartment in Brownsville. She said she would borrow money and get sued for eviction many times over the next few years, but never qualified for a free attorney. Then, she met a navigator who helped her get a grant to cover her back rent. The navigator also found a pro bono lawyer who could keep the case going until Anderson got disability payments and a section eight housing voucher to help her pay the rent going forward. Eventually, Anderson prevailed and was able to keep her apartment. Spreading roles beyond lawyers is going to take leadership, energy, and courage. Hopefully this kind of coverage will help build that. P.S. 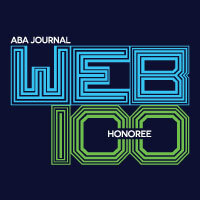 ABA Journal coverage here. This entry was posted in Access to Justice Generally, Court Management, Media, Non-Lawyer Practice. Bookmark the permalink.